Shaun Leonard, Director of the Wild Trout Trust, outlines the work of the Trust and its partnership with the Environment Agency. 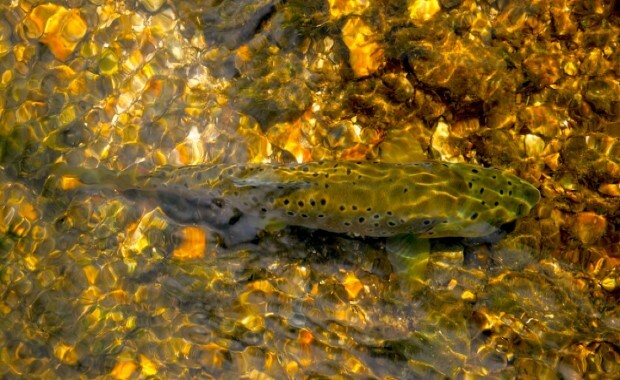 Our wild brown trout, 'Salmo trutta', is a great indicator of the health of our rivers and lakes and all the land that they drain. Where wild trout thrive, things are OK - or better. One organisation, the Wild Trout Trust (WTT), is working hard with many partners, including the Environment Agency, to make this happen. WTT is a conservation charity that strives to make life better for our native brown trout, through protecting and improving their habitats. We work through a team of six hugely experienced conservation officers who go out on rivers and lakes across the British Isles, offering advice and practical help to landowners, fishing clubs and other voluntary conservation groups, rivers and wildlife trusts and government agencies. Advisory visits are our bread-and-butter work, where our conservation officers walk the water with fishing club committee members and point out good and maybe poor habitat. Our follow-on report recommends the kind of work that could be done to make life better for the river, its inhabitants (including its fish) and the people who enjoy that water. In most cases, our advice turns into work in the river, often involving WTT’s conservation officers demonstrating simple practical improvement techniques just to get things going. 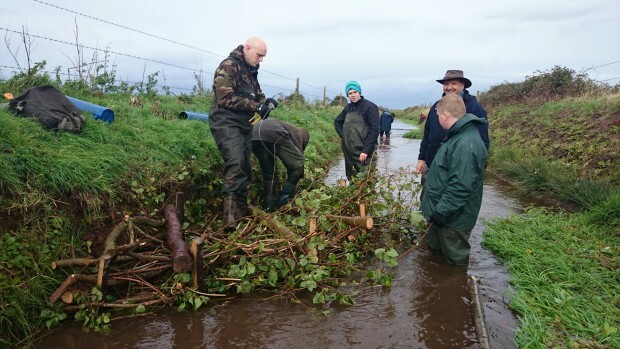 These days involve groups of volunteers getting in the river and very often pinning-in trees and other woody material to shape the river and create a variety of habitat in and by the water. It’s this variety that makes habitat for plants, invertebrates and fish – all organisms have preferences for where they like to live and thrive, so providing variety in habitat should mean there’s space created that will suit many of the river’s organisms at least some of the time. If the river is healthy and productive, the knock-on effects are huge; for example, flies hatching from rivers make great food for birds and bats, and healthy fish populations may well mean healthy otter populations. 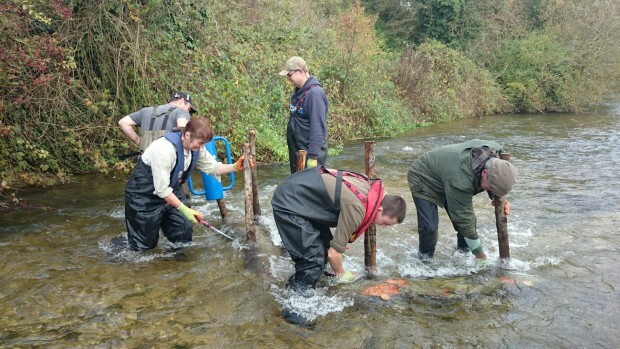 Each year, WTT carries out around 90 visits and more than 30 practical demonstration events, improving habitat on over 250 km of river and directly involving many hundreds of volunteers in the work. In England, much of this work happens through a close and highly productive partnership with the Environment Agency, using rod licence income. This partnership means that a club can get expert, independent advice and practical help from WTT largely for free, with just a small contribution for the conservation officer’s travel: seems like mighty use of our rod licence money to me. WTT also has a really busy website, loaded with freely available information. If you like further information or to get involved with WTT, check out the website www.wildtrout.org or contact Shaun Leonard on director@wildtrout.org.